Young ladies love all kinds of jewelry ,and when the jewelry is as pretty as this bracelet, you've got a really nice gift. 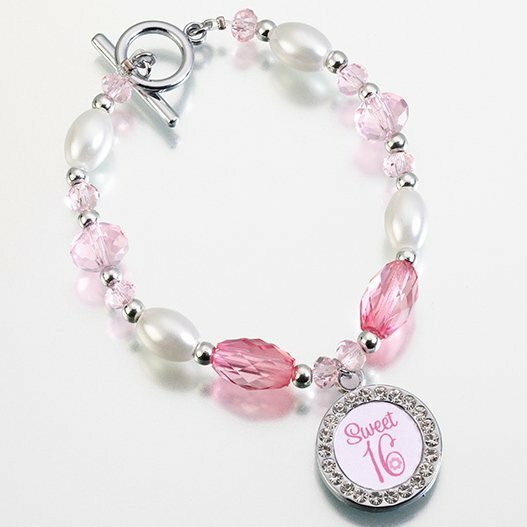 This charming and lady like 8" long bracelet makes turning Sweet Sixteen even sweeter. It is made of both dark and light pink acrylic jewels, off-white beads, and tiny silver beads. A small silver-plated frame charm hangs from the bracelet. It reads, "Sweet 16." Girls can insert whichever photos they like into it. 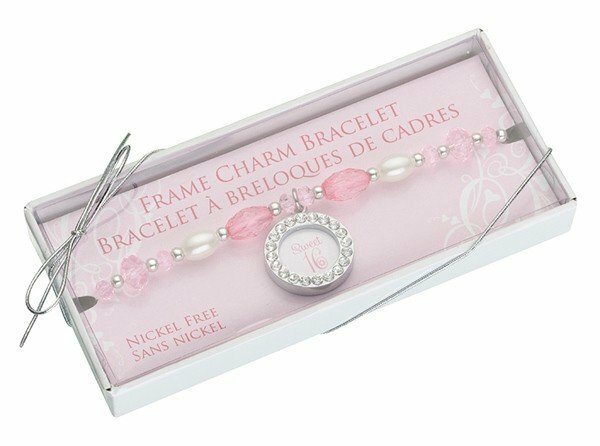 This nickel free bracelet features a toggle clasp closure for safety. Give them out to all the girls at the party as a favor they'll love to show off. You'll be the hippest party giver around.